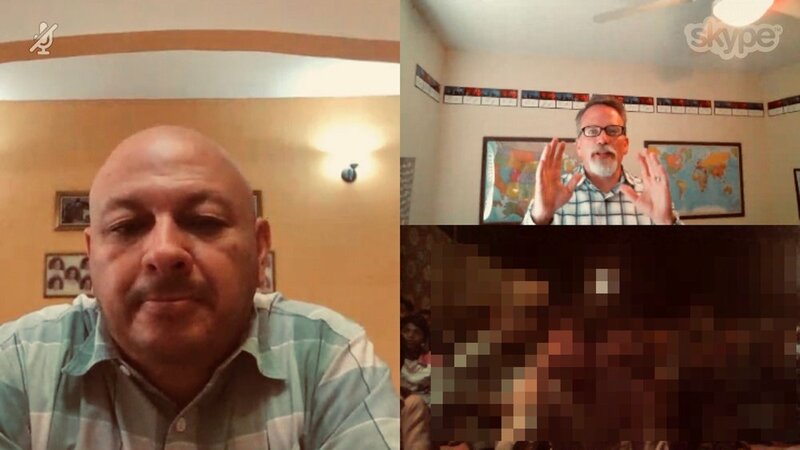 Pastor Allan Lorenzana of Honduras joins a Skype video call with Travis Moffitt & Javier Mendoza of the Connect Global team as Travis preached a message of salvation to a group of very excited men, women & children. Jesus is For Everyone, Everywhere. We believe that the Gospel of Jesus is for everyone. We know this because the Bible describes several mandates to go into the world and share with others. We are called to love our neighbors and we do that in very practical ways like building water wells, and maternity homes, as well as spiritually through preaching and teaching the message of Jesus Christ around the world. One way we are partnering around the world to make a difference is by sponsoring busses and bibles for people in very remote villages. Everyone on earth deserves the opportunity to receive a message of hope for their lives, and for someone to introduce them to Jesus. Through the process of sponsoring Busses and Bibles, Connect Global is able to make that introduction and help the local pastors and missionaries do their job. By sponsoring busses we are able to go and pick up people in remote villages who want to come and hear and once they have made a decision to learn more, the pastor will hand out bibles that we have sponsored to begin teaching more about Jesus. We are unable to share with you the location of this work due to affecting the security of the local pastors and those joining these meetings. Through the use of technology, we can see and hear the crowd, and our team is able to preach and teach by using their local translators. Please pray with us for this amazing opportunity and consider donating towards the cost of more bibles and more busses. Will you help us Sponsor the next group of Busses and Bibles? There are places on earth where you can walk or drive all day and not find a church. We hope to change that. According to Joshua Project, there are just about 3.1 Billion people that are considered unreached around the globe.